Get to know our amazing Board of Directors and listen to their passion about ending the youth homelessness crisis. Co-Founder, Board President Ronald Johnson former Vice President for Policy and Advocacy at AIDS United, Ronald is a co-founder of the groundbreaking Hetrick-Martin Institute – the first LGBTQ-youth specific organization in the country – and the former Associate Executive Director of Gay Men’s Health Crisis. Ronald is a veteran health and human rights advocate and recognized policy leader and was the HIV/AIDS policy coordinator in two mayoral administrations. Co-Founder, Board Secretary and Treasurer Colin McSwiggen has worked with a number of organizations in the nonprofit space over the past 7 years, first in international development and then in educational technology. He has also worked as a writer and software engineer. He holds degrees in mathematics and physics from MIT and in industrial design from Imperial College London and the Royal College of Art, and is currently a PhD candidate in the Division of Applied Mathematics at Brown University. 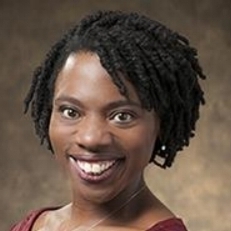 Board Member and Board Vice President Dr. Cynthia Lubin Langtiw is Associate Department Chair at The Chicago School of Professional Psychology. She holds a PhD in clinical psychology from The Chicago School of Professional Psychology, a MA in clinical psychology from the University of Illinois at Chicago, and a BA with honors from the University of Chicago. Cynthia's clinical work reflects a strong systemic / community sensibility that integrates a relational cultural perspective. She is currently a clinical supervisor with the Marjorie Kovler Center for Survivors of Torture. Her areas of expertise include cultural diversity, immigration/migration, trauma, body-based therapies, expressive therapies, spirituality and religion. Board Member Joanne Rosen is an Associate Lecturer in the Department of Health Policy and Management at the Johns Hopkins Bloomberg School of Public Health. Her work focuses on the public health impact of laws that regulate abortion and reproductive health, and laws that regulate sexual intimacy and sexual orientation. She is interested in the discrimination and stigma associated with these laws. Educated in Canada, Rosen obtained her JD and MA at the University of Toronto. She served as counsel to the Ontario Human Rights Commission in Toronto for 17 years, specializing in human rights and administrative law. She was an adjunct faculty member at the University of Toronto Faculty of Law and an instructor in the Bar Admission Course. Joanne sits on the board of FreeState Justice, a Baltimore-based legal services organization that provides legal and policy support to members of the LGBTQ community in Maryland and is a member of the Board of Managerial Trustees of the International Association of Women Judges, a non-governmental organization that advances human rights, equal justice and the rule of law through its network of women judges. Board Member Amy Flood is Senior Vice President, Public Affairs at Gilead Sciences Inc. Amy joined Gilead’s corporate communications department in January 2000 to manage product communications for the launch of the company’s first product for HIV. 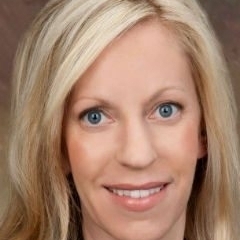 She was appointed senior vice president of public affairs in March 2018, and in this role is responsible for corporate and product communications supporting the company’s business and leading brands, employee communications, patient advocacy and corporate giving programs. Prior to joining Gilead, Amy worked in healthcare public relations in New York, relocating to San Francisco in 1998 to help establish her firm’s west coast operations. She started her career in non-profits, working on women’s and children’s health advocacy. She is a member of the Arthur Page Society, a professional public relations organization, and a member of the Board of Trustees for AIDS United, a national non-profit advocacy organization based in Washington, D.C.
Amy is a graduate of The Johns Hopkins University, with a degree in English Literature. She resides in the Bay Area with her husband and two young sons.